For sinks, shower drains, and laundry tubs. Clears 1-1/4” to 2” drain lines. Includes 25 ft. x 1/4” durable Flexicore® cable. Patented Quick-Grip™ chuck grips and releases cable with just a quarter turn. Durable impact resistant plastic drum. General Pipe Cleaners BD Drain Gun power drain cleaner with “Quick-Grip” chuck makes drain cleaning faster and easier than ever. 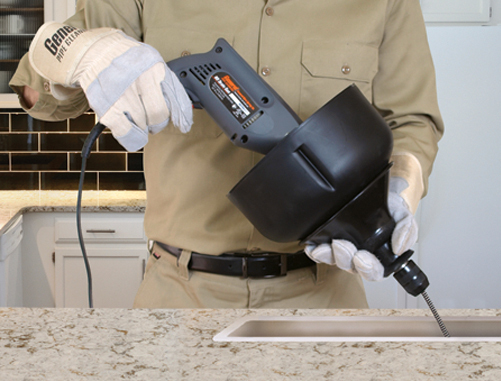 Ideal for the home handyman, the easy-to-use BD Drain Gun quickly clears clogged sinks, tubs and laundry drains. 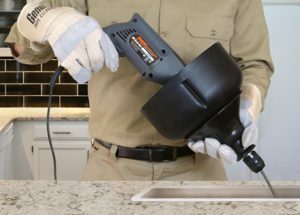 The new “Quick-Grip” chuck tightens firmly against the drain snake with just a quarter turn and lets the homeowner tackle stubborn clogged drains like a professional. It features tough Flexicore® cables with a wire rope inner core for toughness and durability, a study plastic drum, and convenient grip shield. It’s powered by a variable speed 3.2 amp double insulated UL approved motor. 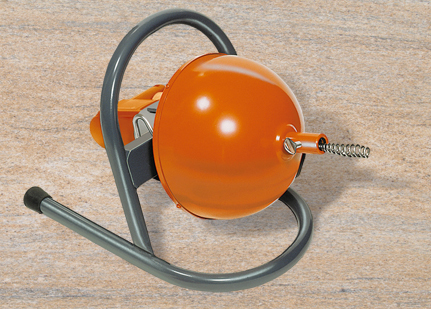 The compact Little Mike offers drain cleaning at a very reasonable price. The drum holds 50 ft. of 5/16″ Flexicore wire rope center cable to clear drain lines up to 2″ in diameter. A thumbscrew grips the cable. Includes pneumatic foot pedal for safety and speed control. The Micro Rooter clears clogs in drain lines up to 3″ in diameter. 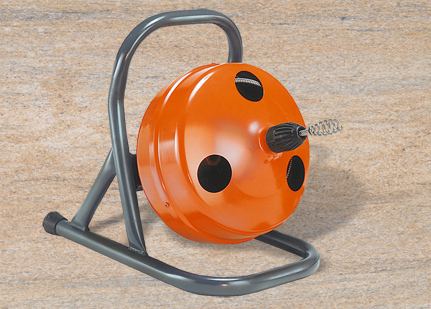 The drum holds 50 ft. of 3/8″ Flexicore wire rope center cable. A Jacobs hand-tight chuck tightens firmly against the cable. The drum can easily be removed for added portability. Includes pneumatic foot pedal for safety and speed control.